I have such great memories growing up with Oreo biscuits, dipping them in milk or devouring them on their own. Now Oreo have new flavours too but my favourite will always be the original one. This recipe makes approximately 5 dipped Oreos. Break the white chocolate into chunks and place in a bowl, slightly larger than the saucepan. Melt the chocolate in this bowl, by stirring regularly until it is a smooth, runny consistency. 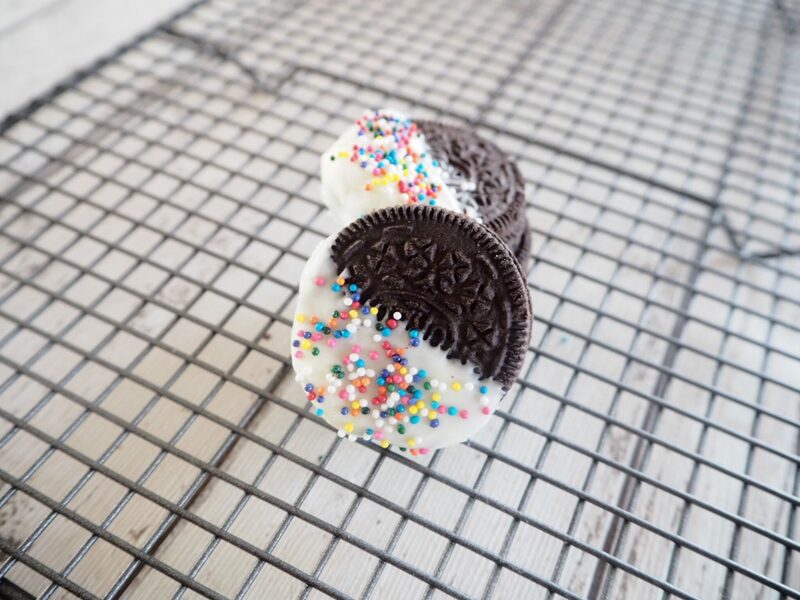 Take off heat and dip each Oreo into the melted white chocolate. Garnish with some coloured sprinkles and leave on a plate to harden.